Amongst the many ways we have here at Calendar Lady Promotions to promote your business details this year is our very popular and very handy Customised USB Christmas Santa Flash Drives, especially in the IT Industry. Also know as USB memory sticks, USB Flash Drives, and USB Pen Drives and available in sizes 256MB, 512MB, 1GB, 2GB, 4GB, 8GB and 16GB. To find out more about our Customised USB Christmas Santa Flash Drives click here and fill in the contact form and we'll get straight back to you. 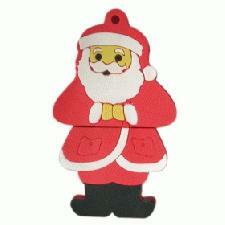 Other promotional and personalised items besides our Customised USB Christmas Santa Flash Drives click here.